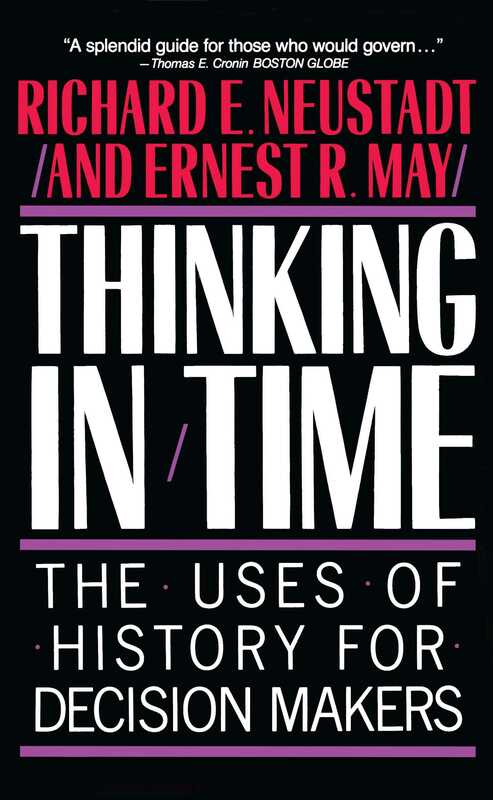 “A convincing case that careful analysis of the history, issues, individuals, and institutions can lead to better decisions—in business as well as in government” (BusinessWeek). Two noted professors offer easily remembered rules for using history effectively in day-to-day management of governmental and corporate affairs to avoid costly blunders. “An illuminating guide to the use and abuse of history in affairs of state” (Arthur Schlesinger). Richard E. Neustadt is Douglas Dillon Professor of Government in the John F. Kennedy School of Government at Harvard University. For three decades an advisor to presidents, their aides, and to members of the cabinet, he is the author of Alliance Politics and the influential study, Presidential Power.